Next post: A review of the Tailor’s Friend dress form from Figure Forms. That box looks lovely! I absolutely love the contrast fabric at the base of the jacket, you’re right that pattern was perfect! 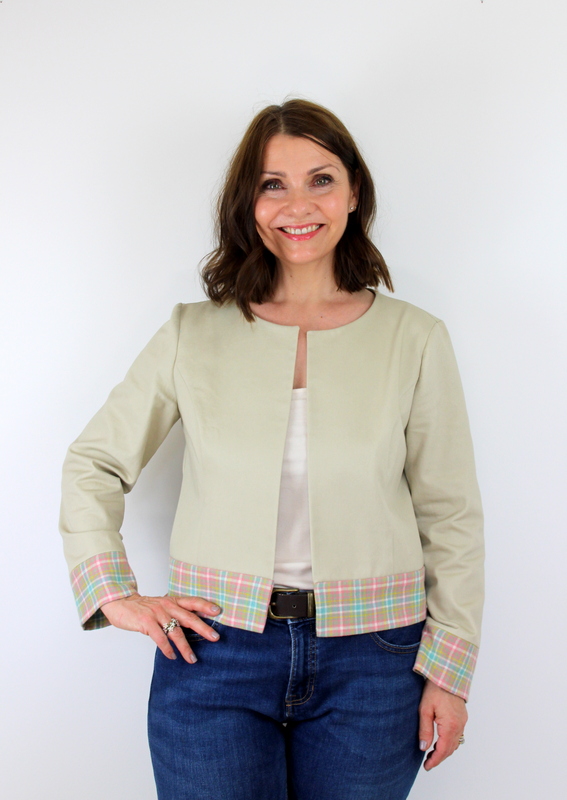 Great jacket for the spring and summer, it really suits you. I love the tartan contrast. How fun is that! Looks great and beautiful sewing!